Retail outlets continue to expand in Lancaster’s downtown area, with new mixed-use construction at the intersections of Date and Gadsden Avenues. LANCASTER – The drop in construction activity being felt across the state and nation may be loosening its grip on the city of Lancaster, as more than 500,000 square feet of commercial and medical space is currently undergoing construction within the City limits, according to a press release issued Tuesday. The construction projects are being spearheaded by such well-known establishments as City of Hope, Kaiser Permanente, and Marriott. “The move by these prestigious organizations to expand in Lancaster despite ongoing economic uncertainty shows that Lancaster has positioned itself as the place to be for businesses,” said Mayor R. Rex Parris. 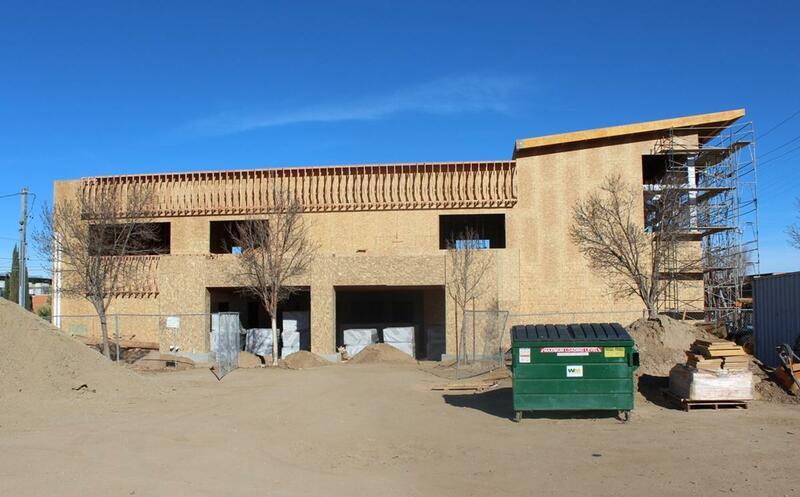 Signature medical projects currently under construction include a new 136,000 square foot Kaiser Permanente Specialty Medical Office Building at Avenue L and 5th Street West and a full-service cancer center being built by City of Hope adjacent to Antelope Valley Hospital. In addition, the City will very soon be welcoming construction of a new 93-room TownePlace Suites by Marriott, at Avenue J-8 and 20th Street West, and an 88-room Best Western Hotel at Avenue I and 20th Street West. Halley-Olsen-Murphy Funeral Home is expanding along Cedar Avenue. 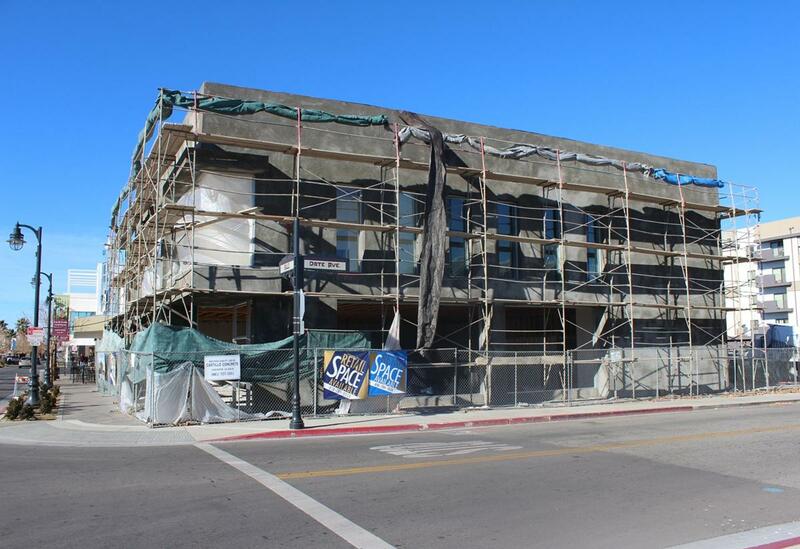 The hotel construction comes on the heels of the formation of the Lancaster Tourism Business Improvement District, a new marketing association formed by local hotels to attract visitors (both business and pleasure) to the Antelope Valley. Once operational, these hotels will be extended the opportunity to join the District. A new Los Angeles County Multi-Service Ambulatory Care Center located at Avenue I near 3rd Street East will soon be completed. This 142,000 square foot facility is scheduled to open next year. Retail businesses moving to Lancaster include upcoming expansions by Chipotle and Starbucks. Retail outlets also continue to expand in Lancaster’s downtown area with new mixed-use construction at the intersections of Date and Gadsden Avenues, as well as a relocation and expansion project by the Halley-Olsen-Murphy Funeral Home along Cedar Avenue. In addition, construction of a 9,600 square foot industrial/commercial building off of Avenue L-14 and 12th Street West is near completion. In anticipation of future economic growth in Lancaster, a local investor saw the opportunity to capitalize on the rush of businesses and industries wishing to locate in Lancaster. With only one tenant confirmed upon beginning construction, demand has been so high, all eight units have already been leased. Lancaster has also become fertile ground for new manufacturing growth. Morton Manufacturing recently broke ground on an 88,000 square foot facility in the Lancaster Business Park, relocating from Santa Clarita. 47 comments for "Lancaster experiencing boom in construction activity, city officials say"
I’d love to see the City focus on bringing GREAT paying jobs to the Valley. We already have enough places to shop and SPEND our money. We don’t have enough places to work and earn a decent living. Fortunately, I am college educated and skilled at what I do, and am employed locally by a defense contractor. But far too many people are making the drive “down below” to earn salaries north of $70,000/year. We need more $70k/year jobs up here in the Antelope Valley.. in fields OTHER than healthcare or aerospace.. I think it would be wise for Lancaster to lure existing businesses to the City with tax advantages and so forth, to provide great paying jobs to local citizens. There is no such thing as the intersection of Date and Gadsden, those streets never intersect, the mixed-use development is on the corner of Date and Lancaster Blvd. Why did they not mention the five story hotel going up downtown? It is clearly underway. Rumor says that it is going to be a W-Hotel, which would clearly be the finest hotel in the entire Antelope Valley. To the AV Times Staff: You failed to mention the new Los Angeles County High Desert Health System building under construction at the corner of 3rd. Street East and Avenue I. Pretty hard to miss. I am not sure how anyone else feels about it, but the HDHS facility is very much needed as well. Hopefully it will reduce ER saturation at AVH. Right now the two main LA County urgent cares are South Valley (40th E and Palmdale Blvd) and High Desert Health Systems, formerly High Desert Hospital (60th West between Aves I and J). Bringing this facility closer to actual residential areas which have county patients should significantly reduce the load of both hospitals. I think you missed it. 6th paragraph. Makes for more ‘Affordable’ housing, doncha know. I’m not sure what the vision has actually been for any of the Lancaster city councils over the past 3 or so decades, but they all have certainly achieved killing the safe, rural small town atmopshere that was the AV when I grew up here. I’m still livid about their razing our beloved fairgrounds. What a joke! Another retail business paying retail wages. This town has been and always will be nothing more than a “go through” town. It’s where people stop to go to the bathroom or pick up a quick bite to eat before heading out to Las Vegas or Mammoth. Most people who do live here are either on some government assistance or are commuters. City of Hope, Los Angeles County and Kaiser will be paying “retail wages”???? Last I checked, most medical personnel needed at least a Bachelors of Science degree. City of Hope and Kaiser will bring more doctors to our valley, which we certainly need! Not to mention, the Antelope Valley has long needed something like City of Hope. We are very privileged to get something that prestigious coming out here! A side benefit is that this is actually going to help the area in numerous by bringing in more educated people. Places like Whole Foods and Gelson’s won’t even consider building a store in a given location unless there is a set percentage of people who hold bachelors degrees there. Marriot and Best Western both pay above minimum wage to their staff, and they also provide benefits. Where will the educated people live? Lancaster??? Where will they shop? Lancaster??? I live, work, and shop in Lancaster. I am educated. I earn a reasonably decent wage. What’s wrong with Lancaster? The demographic is shifting. The demographics has shifted in the wrong direction which has caused higher crime. Hopefully the new construction and high qualification jobs shift Lancaster the way it was 10 years ago. I am hopeful. BTW, I live and work in Lancaster and I have a Master’s Degree. Hmmm? What’s wrong with Lancaster? Well, just look at the comments here about where to buy cheap jeans……………..in Lancaster. That doesn’t sound much a people with high paying jobs discussing their shopping preferences. Do you think Parris shops for clothes in Lancaster? Yes, it is shifting…and not in a good way. You have to get over your petty hatred of Lancaster, William. Because that is all it is, PETTY! Whatever good things happen in Lancaster will positively impact Palmdale and vice versa. Lancaster, because of its mayor, has been a bad neighbor to Palmdale and Quartz Hill. Your POS mayor is now suing Palmdale again. You are stuck there and have to make the best of it, I guess. Heck. whatever happens in Lancaster barely helps Lancaster let alone Palmdale. You must read the complaints from Lancaster RESIDENTS. You must. Keep telling yourself that if you must but I think more people in this area actually dislike YOU than Rex Parris. [removed] Lancaster does help Palmdale a great deal because Lancaster employs lots of people that live in Palmdale and shop in Palmdale. Lancaster also has the AV Courthouse, AV College, AV hospital, Costco, almost all of the county offices for the AV area are in Lancaster plus Kaiser, City of Hope (soon), the AV Fairgrounds. many People who live in Palmdale are employed in Lancaster. So why dont you give that some thought before flapping your tongue some more. All you do on this site is make stupid comments and piss everyone off. @…Still, Lancaster is a mess. Do you work for the city? Wow! COSTCO and the court house. Isn’t that where the criminals go from the prison in Lancaster that you forgot to mention? What happened to the outdoor mall that was supposed to go across from the park in 10th West? Are you sure you want to go down this road? Tell me,… Why then is the recent report on average home prices about $12,000 more in Palmdale. The crime lower. Maybe it’s because I live in Palmdale and add value to the City. And, you are probably doing the opposite for Lancaster. Let me know when you come up with a truly ‘good’ thing Parris has done for Lancaster. Or any other Mayor of Lancaster over the past 30 years. O.M.G.-did you actually call him an [removed]? Have you noticed sikntired, that I can take it and give as good as I get? It’s ‘them’ that’s the whiners. Where IS Forewarned, BTW? Now that Sarah Palin is gone from Fox News, they have an opening for another brainless twit and I recommended Forewarned. She excels. I did notice that you do a lot of name calling, yes. They also do it but can’t take it. Besides, I think I do it much better. Yes. Yes. Unmitigated is right. Why would I mitigate. If I mitigated, I’d be a ‘mitigater’. Unlike ignoranious William, I have a life outside this forum. This forum IS William’s life. He’s a sad loney human being who likes the taste of my name in his mouth, I think he’s mistaken my name for another word with “fore” in it that he likes in his mouth. You are one hideous, loveless, joyless, humorless creature and you should be happy with the attention. I notice you keep showing up here on a daily basis and lowering the IQ of site. Forewarned, Everyone needs a job and whether it’s retail or professional employment, it’s still work. No matter what – you need a certain amount of retail to stimulate the economy quickly. There are a LOT of people on government support and retail is the fastest way for them to find employment and use it as a springboard for a better position. It’s always easier to find a job when you have one then to get one when you don’t. Even if all we had was retail it would be better than no jobs at all. I agree with you Forewarned, Lancaster has nothing to offer. There is no where to shop in this town!! I go to Palmdale to shop, or drive down below to the bigger malls or outlet centers. There isn’t even a desent place to eat, nothing but fast food. If you were a real Gossipgirl you would know that there are a number of retailers in Lancaster that feature some of the same styles that can be found in many of the stores at the Mall. Additionally there are stores in Lancaster that carry styles like pinup and rockabilly that you can’t find elsewhere within 40 miles of here. If we want to go direct brand/style as Gossip Girl then we’re talking about Stop Staring! dresses, Big Star and Miss Me jeans, Rock Steady, and various vintage pieces.. Good luck finding most of that in the AV Mall..
Incidentally Miss Me jeans are on sale right now at Forge on the BLVD for like 50% off. I think they have the Big Star jeans on sale too .. but you can wait until Buckle opens up in the mall and pay full price for them or go to forever 21 and get a knock off version of what the girls on Gossip Girl wear..
You are showing your ignorance. I myself have a Master’s degree, and my wife has one as well. Three of my children have Bachelor’s and two of them have Master’s degrees. None of us are commuters or on assistance. This is also true of my neighbors who are either serving in the military or are working for aerospace companies or AVC. These are all high-paying jobs, I am thankful that more of these high-paying jobs are coming. I love it! Men are most likely to brag about how much money they make, their education or the size of [removed], I mean gun. how about the empty retail buildings next to home depot, that have been empty for how many years now? why dont you work on filling those and all the other empty buildings before building more? how about the old walmart building? that place is such an eyesore..why not just tear it down? just who does the planning in this town? got news for them, they need to find another job. It’s Office Depot Charter Continuation High School, otherwise known as Desert Sands. As for the pads out front, yeah they’ve been forever empty, and a charter school with only part-time attendance isn’t much of a draw for retail. It would be nice if the city would incentivize K-mart to rehab their store and parking lot to include landscaping. Yes the little strip mall across from Home Depot is so seedy, but surprisingly that area of Lancaster is less ghetto than some. The Power Center owners had plans for the old Walmart; the crappy economy killed it. Hopefully it ends up being something more than another indoor swap meet “international shopping mall”; we don’t need any more of those around here! Oh, we can criticize the City for meddling in businesses in some parts of the city, but with the same breath demand that something is done for these unoccupied buildings. !?! Though it was flawed, that is exactly what redevelopment agencies were setup to address. They gave cities the resources necessary to legally encourage development through incentives that did everything from beautification of neighborhoods to occupying empty buildings with businesses. Is there a Planning Commission in Lancaster? I mean really. It sure doesn’t look like it. The city obviously uses online consultants from a 3rd world country. Got to house the homeless some place. How come no mention of “The Commons at Quartz Hill”, Ave L and 60th St West project which the city council approved in December? It will only be talked about if and when it actually breaks ground. All of these other projects have broken ground, or are within months of breaking ground. It seems like the Antelope Valley is truly starting to come out of this down economy better than ever. Don’t get me started on that boneheaded maneuver. This great news for our local economy!